Some people (me, for example) are bothered by noise much more than others are. I find it hard to sleep or concentrate when I am being distracted by random noises. Sound proofing (to prevent the noise from getting to you) is wonderful but often can not take care of all noise problems. In this case you essentially have to mask the noise with other noise. Fans do this reasonable well, actually. But they are designed for something else and can have annoying noise signatures themselves. 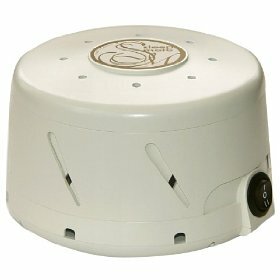 The Sound Conditioner is a device specifically designed to produce sound similar to that of a fan but many (including me) find the sound more soothing than a fan. It is also very adjustable. 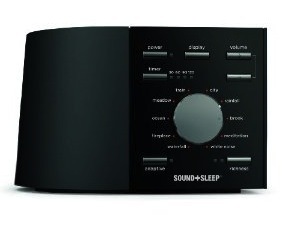 But basically it just produces white noise by blowing air through adjustable openings. It also is nice if you don’t want to blow the air around your room (as a fan will do). It does require 115 volts (the leve used in the USA). They have an identical version called the Sleep Mate (but if you want something for an office the word, sleep can bother some managers). I would suggest getting the dual speed version (that is what I have). This entry was posted in electronics and tagged comfort, noise, sleep, sound by curiouscat. Bookmark the permalink.